Be the first to hear about their new releases and deals. Download the Booksprout app and search for Amanda Byrd today! 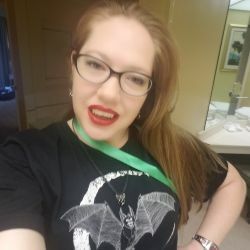 Amanda has a love of horror and borderline obsession with fictional serial killers. She frequently makes Hannibal, Harry Potter, and Dexter references in “normal” conversation. She is also a full-time psychology major. When not writing, Amanda can be found reading, playing video games, or watching shows and movies like Mindhunter, Hannibal, Harry Potter, or Dexter. Amanda currently resides in Tampa, Florida with her husband and two cats.